This volume addresses questions that lie at the core of research into education. It examines the way in which the institutional embeddedness and the social and ethnic composition of students affect educational performance, skill formation, and behavioral outcomes. 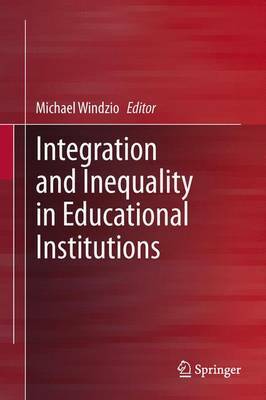 It discusses the manner in which educational institutions accomplish social integration. It poses the question of whether they can reduce social inequality, - or whether they even facilitate the transformation of heterogeneity into social inequality. Divided into five parts, the volume offers new insights into the many factors, processes and policies that affect performance levels and social inequality in educational institutions. It presents current empirical work on social processes in educational institutions and their outcomes. While its main focus is on the primary and secondary level of education and on occupational training, the book also presents analyses of institutional effects on transitions from vocational training into tertiary educational institutions in an interdisciplinary and internationally comparative approach.